Few inventions have lent themselves to as little improvement over the years as the simple fan, with its whirring blades that blow air across a desk or through a room. But now even the conventional fan has been transformed. 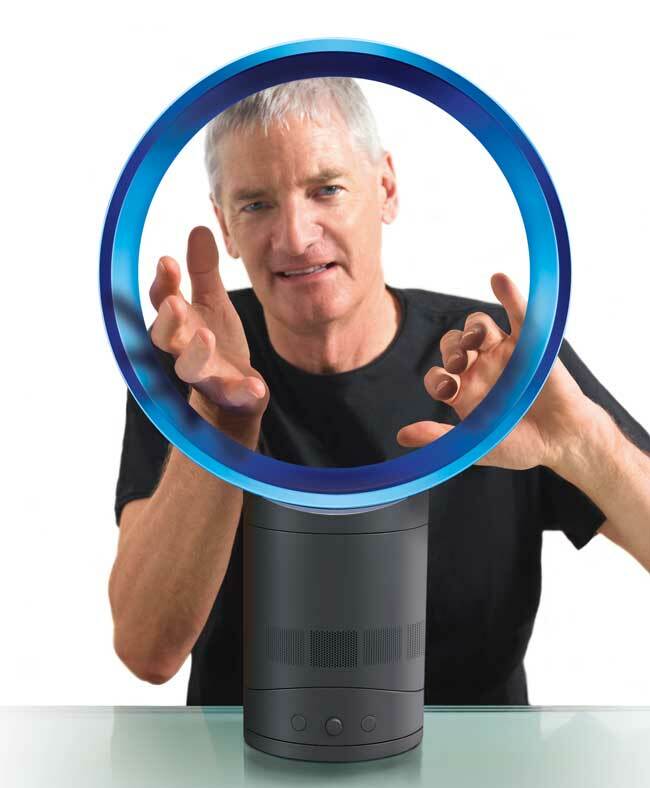 James Dyson, the British inventor behind the vacuums that bear his name, has come up with an incredibly simple-looking, circular fan that has no blades. It uses “Air Multiplier” technology to push 119 gallons of smooth air out every second. Air is pulled into the machine’s cylindrical base with an impeller that draws from jet-engine technology. The air rushes up into a hollow ring. The air is then forced out of a 1.3-millimeter-wide slit (less than 1/16th of an inch) that runs all around the ring. As the air exits through the slit in the ring, it flows over the inner edge of the ring, which was modeled after an airplane wing. Imagine an airplane wing bent around into a loop. The air encounters what would be the leading edge of the wing, said Dyson engineer Andy Samways. When it hits the wing-like structure, the air speeds up, creating an area of low pressure.